The PECB Insights Conference is the perfect destination for experts and professionals. 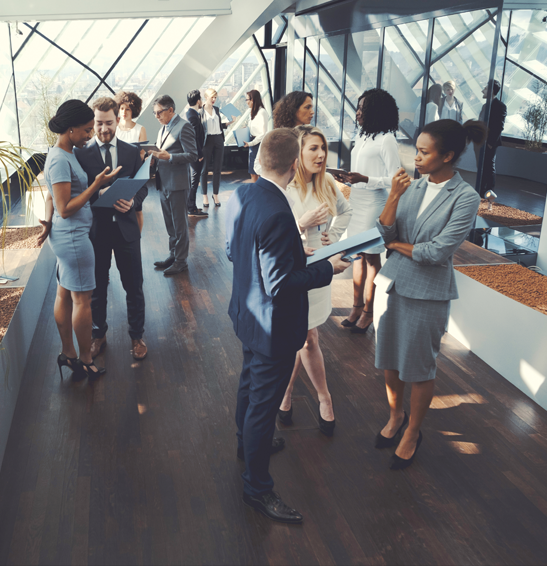 At the conference you will be able to connect with fellow professionals and make lasting relationships. From expert panelists to participants from around the world, the PECB Insights Conference will offer you limitless networking opportunities. At the PECB Insights Conference, you will be coming together with professionals to discuss the latest trends, and what to expect from the future. The topics for this year’s conference will be focused on providing you with valuable and relevant information. The roundtable discussions will be a great opportunity to hear from multiple experts and find answers to questions you might question. The PECB Insights Conference is an assembly of professionals, thus you are certain to find inspiration in every corner. Tackling relevant issues, you can be positive that you will find useful insights regarding the topics and questions which interest you. The PECB Insights Conference will be an opportunity to help in your business and professional growth. If you are interested in registering for the PECB Insights Conference, please contact us at events@pecb.com.